Taman Yuwono Heritage Malioboro menawarkan kamar-kamar nyaman di tengah kawasan strategis Malioboro. Akomodasi ini berjarak sekitar 41 menit berkendara dari Bandara Internasional Adisucipto dan sekitar 9 menit berkendara dari Stasiun Yogyakarta. 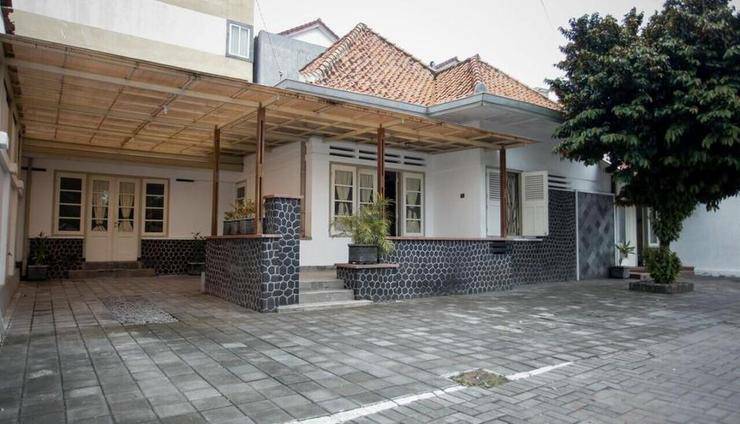 Kenyamanan menginap Anda di Taman Yuwono Heritage Malioboro ditunjang dengan sejumlah fasilitas kamar. Mulai dari TV kabel, meja, hairdryer, TV, dan shower. Sejumlah fasilitas publik berupa area parkir, restoran, layanan kamar, akses free Wi-Fi di area umum, resepsionis 24 jam, layanan binatu, hingga jasa tur juga disediakan jika dibutuhkan. Taman Yuwono Heritage Malioboro dekat dengan beberapa atraksi menarik. Anda bisa mengunjungi Masjid Syuhada Yogyakarta yang berjarak sekitar 11 menit berkendara dan Museum Sonobudoyo yang berjarak sekitar 8 menit berkendara. Apabila Anda ingin berbelanja, mampirlah ke Malioboro Mall yang berjarak sekitar 17 menit berkendara. "Alhamdulillah, saya mendapatkan hotel yang mantaps, ........... mantaps harganya, .......... m..."
Alhamdulillah, saya mendapatkan hotel yang mantaps, ........... mantaps harganya, .......... mantaps pelayanannya, ........ mantaps lokasinya, .......... mantaps kenyamanannya, ......... mantaps breakfastnya, ......... pokoke mantaps segalanya, ........ terima kasih pegi-pegi, telah membantu saya untuk menemukan hotel taman yuwono yang luar biasa, dan mantaps segalanya. Staf hotel ramah dan sigap dengan komplain air panas yg tidak nyala di kamar, untuk pelayanan dan kebersihan kamar sangat bersih. Fasilitas juga sangat bagus. Lokasi tidak jauh dari stasiun dan malioboro. Cocok untuk backpaker. 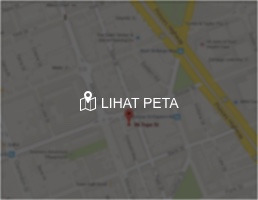 Tidak sia2 capek2 perjalanan jauh dengan hotel seperti ini.. Kalau saya ke sana pasti akan kembali ke hotek ini. 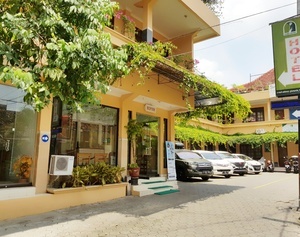 Me and my friends was visited yogyakarta for 6 day 5 nights, and we choose this hotel taman yuwono heritage due of the price is reasonable, near to town like 10 minutes walking distance, and good review from other people. Went we reach to this villa, the staff was so nice and polite. This villa so clean and quite. For the room, the size not so big but its quite comfortable for 2 people to stay. We not bring huge luggage so we have a space to put our luggage beside our bed. If you have a huge luggage maybe you can put in one side. 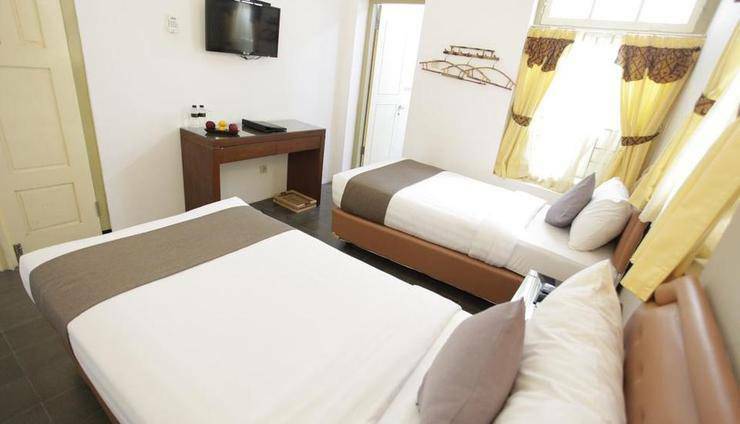 The room and toilet clean, and in this room provide 2 towels, 1 mini towels, 2 brush teeth, soap and 2 slippers. You might bring your own toiletries for your comforts. The most amazing about this villa is the breakfast, this is the boom. The breakfast so good and worth it with the price you pay. We manage to get our breakfast only for 2 days, but the food was so good. The menu that we get on 1st breakfat was mee goreng, rice, ayam bakar, tempeh sambal, telur sambal, bread, variety of cakes and 2 choice of juice (orange/watermelon), hot drink (tea/coffea). For 2nd breakfast we get was rice, gulai ayam, sayur sambal goreng labu siam, tempeh sambal, telur sambal, bread, variety of cakes, 2 choice of drink (orange/watermelon), hot drink (tea/coffea). All the staff was so nice and helpful. Our room air conditioner was not well function, but the staff give us a fan for make the room a bit cooler, but for me is not something bad at all and the room is near to the walkway, and you will hear people talking, people selling food at night but not all the time the noise. If you can bear with it something not an issue, because we can sleep well at night. Overall this hotel was so good and you have to experience it by your self. The location is very strategic. A few mins walk and you're in Malioboro street. Room is clean, they provide toiletries, towels, and all day coffee/tea where you can make in the kitchen. However, my room is next to a small street and it's a bit noisy at night as motorcycle pass by. other than that, it's a great stay. Breakfast: rice, indonesian foods, bread and jam. You can also rent a motorcycle at IDR 80K per day. 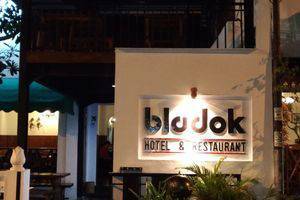 Had a comfortable stay in this place... it's quiet and very close to Malioboro street. I also loved their breakfast service. The amenities are not that new but I wouldn't mind staying for quite some time. Super friendly staff, i do really like my morning breakfast in here with the authentic javanese music around. Very comfortable room. The location is very nice, close to everywhere, which is very center. I'll come back to this place again and again. very recommended.